CARFAX 1-Owner. WAS $376,495, PRICED TO MOVE $6,000 below NADA Retail! Sunroof, Heated Seats, NAV, WHEELS: 18" AMG 5-SPOKE, iPod/MP3 Input, Turbo, PARKING PILOT, BLIND SPOT ASSIST, REAR VIEW CAMERA, HEATED FRONT SEATS CLICK NOW! Navigation, Turbocharged, iPod/MP3 Input. 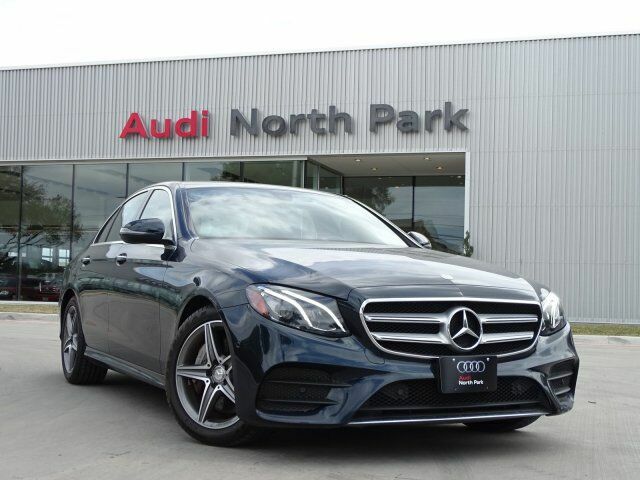 Mercedes-Benz E 300 Sport with Piedmont Green Metallic exterior and Black interior features a 4 Cylinder Engine with 241 HP at 5500 RPM*. BURMESTER SURROUND SOUND SYSTEM 590 Watts, 13 speakers, HEATED FRONT SEATS, PARKING PILOT, BLIND SPOT ASSIST, SIRIUSXM RADIO free trial period, REAR VIEW CAMERA, WHEELS: 18" AMG 5-SPOKE. MP3 Player, Sunroof, Onboard Communications System, Keyless Entry, Remote Trunk Release, Child Safety Locks, Steering Wheel Controls. "The new engine delivers surprisingly strong performance while remaining quiet and smooth at nearly any speed. A sophisticated suspension, powerful brakes, and precise but lightweight steering further contribute to the E300's ultra-refined feel." -Edmunds.com. Was $376,495. This E 300 is priced $6,000 below NADA Retail.